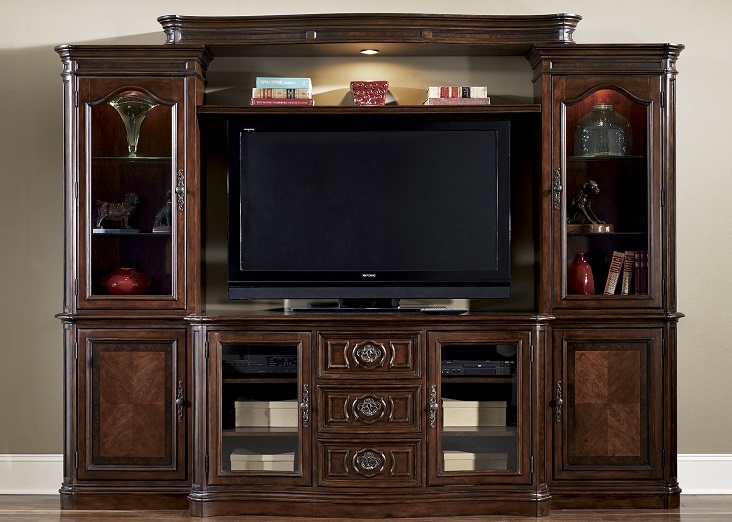 The elegance of the plethora of storage of the Liberty Furniture's Entertainment Collection will keep your living room media accessories completely organized to your preferences. 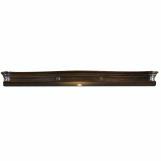 Make use of the full-extension metal drawers glides and fill the storage drawers to capacity decorated in crown-moulded overlay designs and custom antique brass bail handles. 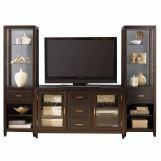 Outer door compartments feature arched glass door panels and Spanish scroll metal handle backplates, opening to adjustable shelf storage, adjustable shelves behind each of the glass panel doors allows for easy use of media players and gaming systems, while customizing storage space for other items, like books, movies, and games. 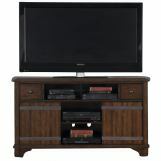 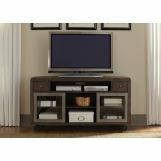 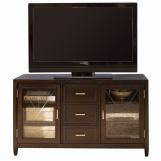 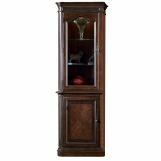 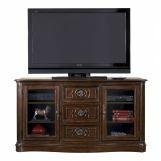 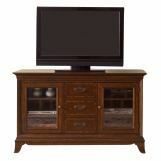 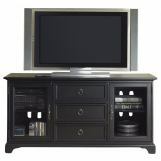 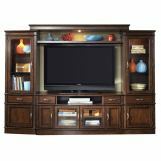 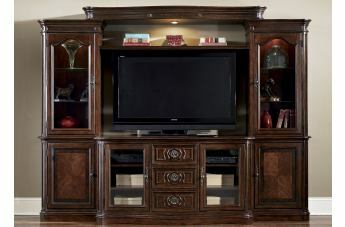 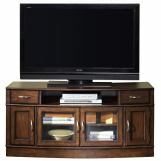 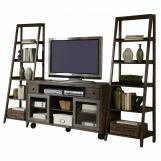 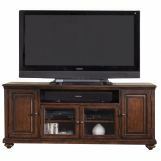 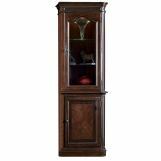 This Liberty Furniture's Entertainment Collection offers wire management provisions to hide and organize that array of chords that come with a television and DVD player. 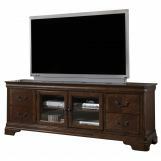 The traditional heavy crown mouldings and cantered corner accents in vintage finishes keep your family room classically in style without sacrificing the storage and usability features you need for your living room.